The Hoyo de Monterrey Epicure de Luxe LCDH is a light yet rich Magico, 4.5” (115mm) long, of 52 ring gauge, and comes in a 10 cigars box. In 2012 Hoyo de Monterrey, one of the oldest Habanos brand, decided to launch an exclusive line for La casa del Habano, and released the Epicure de Luxe. 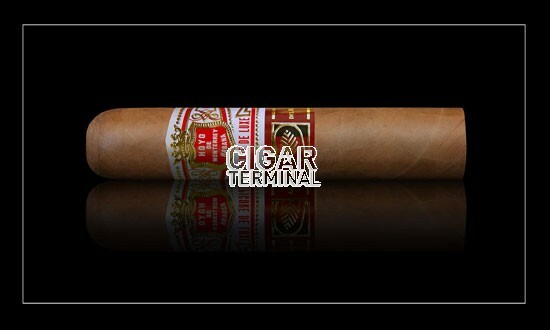 It is only using tobacco from the most valuable area in Cuba, the famous Vuelta Abajo. 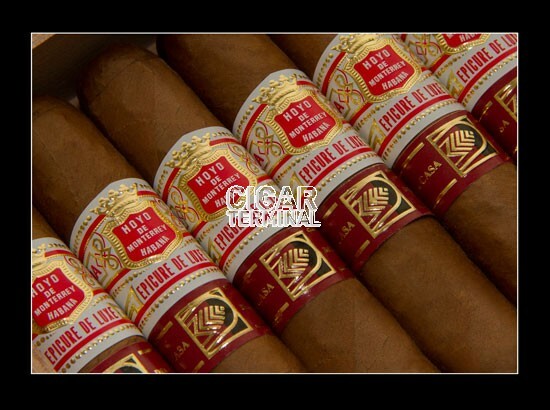 This smoke packs all the typical Hoyo de Monterrey’s flavours into a small yet exclusive cigar, that is comparable to the 2012 Limited Editions, but which is cheaper than these. The construction is superb, it is fully handmade, its high level of quality is on par with any cigar out of La Casa del Habanos. On the flavor profile, it is rather light in taste yet shows a great level of complexity and control of aromas. As all special productions, the stocks are limited, so there will not be second chances to try this beauty! 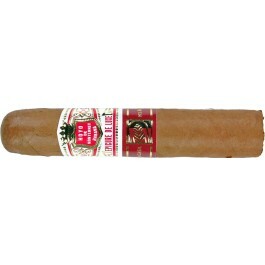 The Hoyo de Monterrey Epicure de Luxe is a great morning cigar with great complexity yet very smooth. • A great Petit Robusto with a perfect construction. • Typical Hoyo flavors: earth, cedar, hay and grass. A rich very refined and extremely well balanced stick. And a great potential for aging. Very good looking cigar. Slightly granular to the touch but still rather smooth, with several tiny veins yet a great impression of quality comes out from the Epicure de Luxe. The wrapper has a beautiful light Colorado claro color. And the cigar seems very tightly rolled, the triple cap is beautifully applied, it is pretty firm when squeezed between the fingers; in short, it has a superb construction. In addition to the standard “La Casa Del Habano” band, it has a special “Epicure de Luxe” band. The wrapper hints of fresh grassy, earthy and woodsy aromas. The cold draw confirms those earthy flavors, combined with tobacco taste. There is also a spicy pinch on the lips. Once lit, the draw is soft and clear, releasing a fair amount of white smooth smoke. The burn line is perfectly even and sharp. It leaves a dark and thick ash that holds on firmly easily for more than an inch. The first third of the cigar is amazing. It is greeting you with earthy and woodsy flavors. Alongside, just enough spice from cinnamon, pepper and also some citrus acidity. The draw is clear, the burn line is even, creating a dark ash that holds strong and a nice silky smoke goes up at every puff. Overall the cigar is very smooth, with so hints of chocolate, caramel, nutty flavors of peanut and nutmeg. There are also faint hints of fruits aromas. One can also spot some notes of hay and grass on the finish. The mix and the complexity of flavors are very well balanced and spot on; the strength of the cigar is definitely medium at this point. A great opening from the Epicure de Luxe. In the second third, the woodsy and earthy profile of the Hoyo Epicure de Luxe is still dominant. However, the nutty aromas are gaining importance. The sweet flavors increase the smoothness of the cigar, the rich cocoa and toffee flavors are now joined with rather sweet flavors, almost dessert like, such as butter or cookie dough at times. In the finish there are also nice notes of roasted coffee and of black pepper. Overall the cigar increased a bit in terms of strength, almost a Medium-to-Full body now. In the final third, the complexity of the cigar remains the same, still with lots of earthy notes and some woodsy notes of cedar. The hay and fresh grass is still present, like any Hoyo de Monterrey. However, the nutty flavors of hazelnuts, walnuts and peanuts are even more present, with still enough spices of toasted cinnamon. The strength of the cigar goes down a notch, now closer to medium body, with still a great control of the different flavors, and incredibly smooth thanks to intense toffee flavors almost like caramel. In summary, it is a great morning cigar. It has all the typical Hoyo de Monterrey flavors and characteristics. And with its perfect construction, it has a great potential for aging.